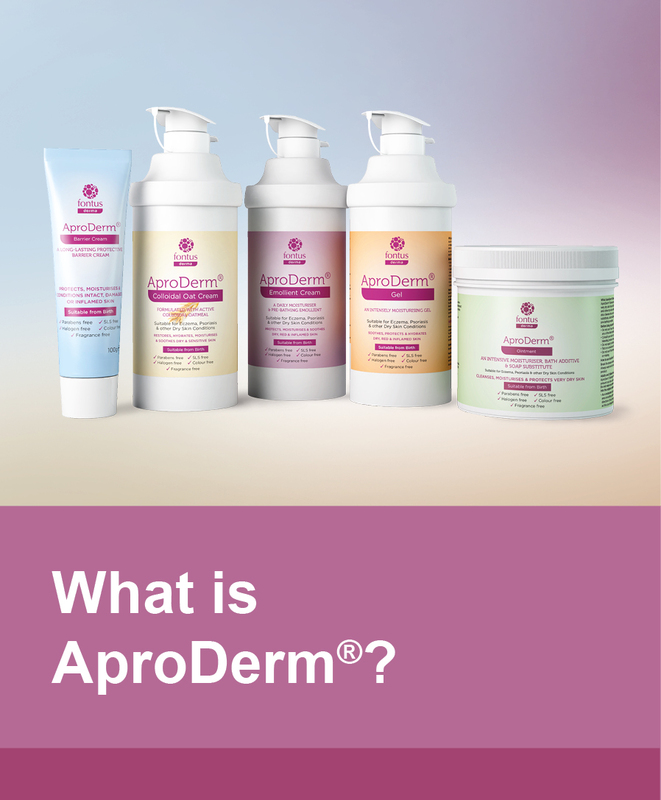 The AproDerm® range of occlusive, leave on emollients and barrier creams have been specially formulated to soothe, moisturise and protect skin suffering from Eczema, Psoriasis and other Dry Skin Conditions. 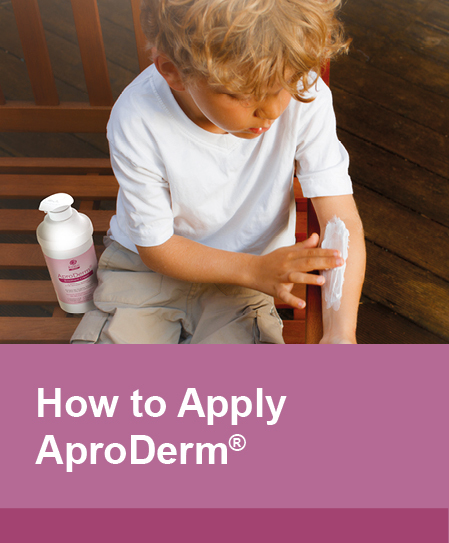 These excipients are potential irritants and sensitisers which can aggravate already sensitive skin causing reactions that result in the development of skin inflammation and itchiness, which would encourage a patient to scratch their skin preventing it from repairing and could cause further damage. 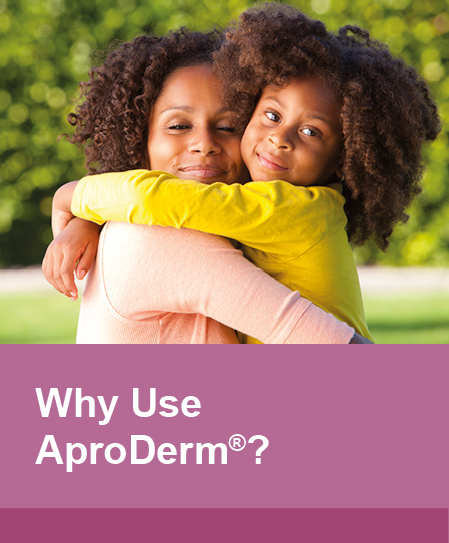 As AproDerm® is free from SLS, parabens, benzyl alcohol, chlorocresol, triethanolamine, colours and fragrances it is less likely to cause reactions in patients and hence more likely to be used by them thus aiding compliance. 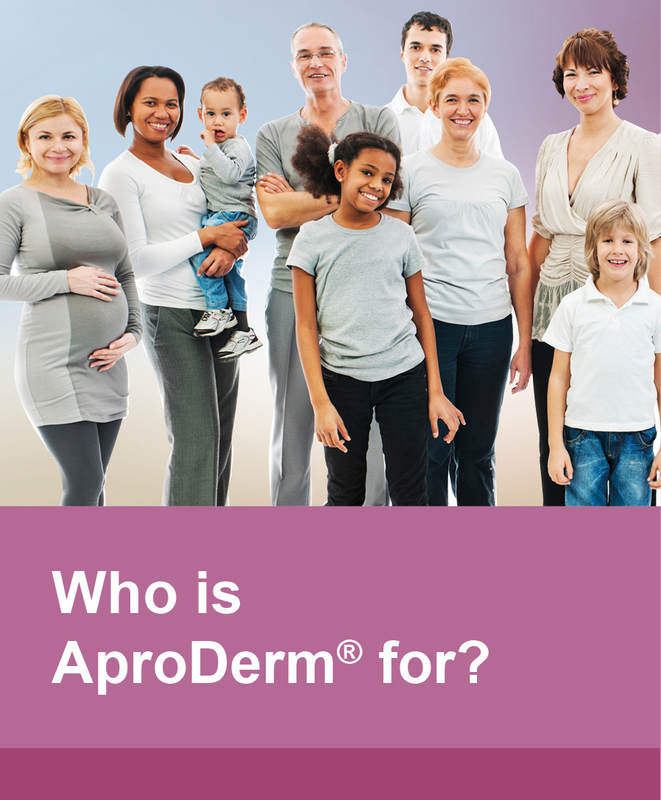 For more information about the complete AproDerm® Range and how to further support your patients (including downloadable and printable resources for them) simply click on one of the boxes below.